This is a meeting that you arrange to talk to someone in the industry, career or organization that interests you. Sometimes called a research or exploratory interview, it is an interview that you initiate and in which you ask the questions. Use this advice and guidance about this interview to make the most of the opportunity. 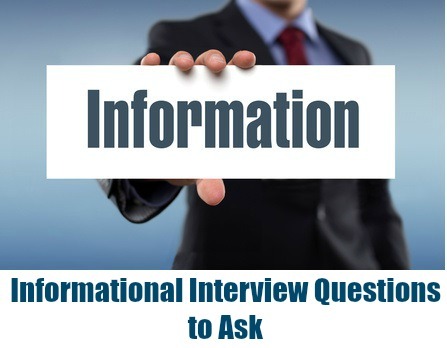 Why are informational interviews important? You are able to obtain current and valid information about a career field firsthand from a person who actually works in the field. You will get tips and ideas of how to successfully enter a certain career and company and be better placed to write a convincing cover letter and resume. Additionally it provides an opportunity to increase your network of contacts which will help in your job search. Who should I conduct the informational job interview with? First identify the industry and career or job you want to learn more about. Get valuable company information by doing productive background research and identify the organizations you would like to know about and the people who can give you the information you need. These interviews should only be conducted with people who are actually doing the work you are interested in finding out about and have sufficient experience working in your field of career interest. You can use people you know to give you the contact details of these workers, such as friends, relatives, colleagues, and professors. You can call the human resources department of relevant organizations and ask for contact details of people in the position you are investigating. You can also get names of suitable workers from career offices, employment agencies and professional organizations and directories. An easy resource to use is social media - both LinkedIn and Facebook can help you with this. To set up the interview contact the relevant individual and request an opportunity to talk with them for about twenty to thirty minutes. 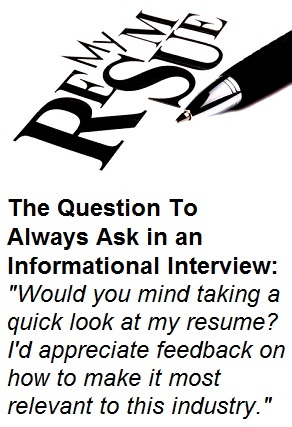 You can use this letter to ask for an informational interview. Tell them straight away that you want to learn more about the industry, job, company and that you have prepared a list of questions to ask them. You need to reassure them that you are not asking them for a job but you are only seeking advice. This way they will be more comfortable with meeting you. It is important to arrange the interview at the person's work site so you can get a feeling for the organization. Sample informational interview letter to request a meeting. 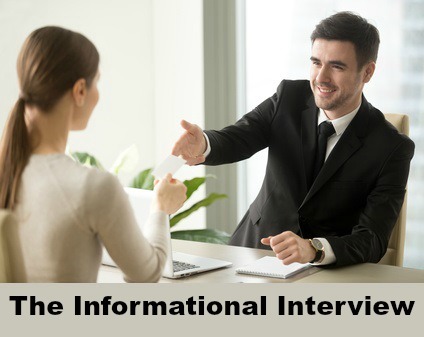 How do I prepare for an informational job interview? The key to a successful interview is preparation. Use your background research to understand the basics of the industry, company and specific position. Prepare a list of the questions you want answers to. Use these sample information interview questions to help you plan good, information-seeking questions to ask. Should I bring a resume to an informational interview? Take your resume with you just in case the person you are meeting with offers to distribute it to contacts they have in the industry. You can also politely ask them to take a look at your resume and offer advice. This will both showcase your skills to the person you are meeting with and facilitate networking. Utilize these communication tips to come across in a professional manner. Going for an internship interview? Use this guide to internship interviews to help you.